Hooray! We are onto the last blog for the Universal Learning Design (UDL) series. If you want to read the blogs prior to this one check out the first introduction blog here, the second blog on ‘Action and Expression’ here and the third blog on the principle of ‘Engagement’ here. In this final blog we are exploring the UDL principle of ‘Representation’. As learners, we all differ in the way we perceive and comprehend information that is presented to us (CAST, 2018). If a learner has sensory disabilities such as blindness or deafness or learning disabilities such as dyslexia, they may require different ways of approaching the content (CAST, 2018). We also have our own preferences for how we best like to comprehend information. You may prefer listening to an audiobook over reading a physical book or you may prefer speaking to a mentor over watching a video. This is why it is essential to provide learners as many options as possible. Here is what we found most valuable from the ‘Representation’ principle. We live in a world where the ability to customise is an expectation. We don’t want our phones to have stagnant apps that are unable to be moved or put into an order that suits us. We want to decide whether we want pickles on our cheeseburger. Not to mention if we want our steak cooked rare, medium or well-done (you get the point). The same goes for learning experiences. Print materials, like magazines and books can’t really be customised once they are printed but with digital online courses we have a little more flexibility (CAST, 2018). If the module has audio narration, video or sound simulations provide the learner with control over the audio volume, as well as when it plays, stops and pauses. Ensure that your eLearning is not fixed and enables the learner to zoom in and out on the content (making text larger and smaller). Audio in an eLearning course can add a human touch or can even support learners in hearing how a native speaker pronounces certain words (Brown, 2016). It is also particularly effective for learners who naturally prefer to learn through an audio format. Some learners may even require learning in an audio format, for example, if they have a visual impairment. However, what about if information is conveyed solely through audio? This would then become inaccessible for learners with hearing difficulties. To ensure that the learning solution is accessible for all learners, for all audio that is used, a text equivalent should be available. If content is being narrated, the text for that narration should be available in a text format on the screen. If a video with audio is shown, captions should be available as an option. Transcripts are another great way to provide a text format for any audio elements included in the learning. Example video with captions by Belvista Studios. Visual sources are a common and optimal way to present information but much like audio is unaccessible for some, learners with visual difficulties may be unable to obtain meaning from visual representations of information. It is therefore important to take this into consideration. 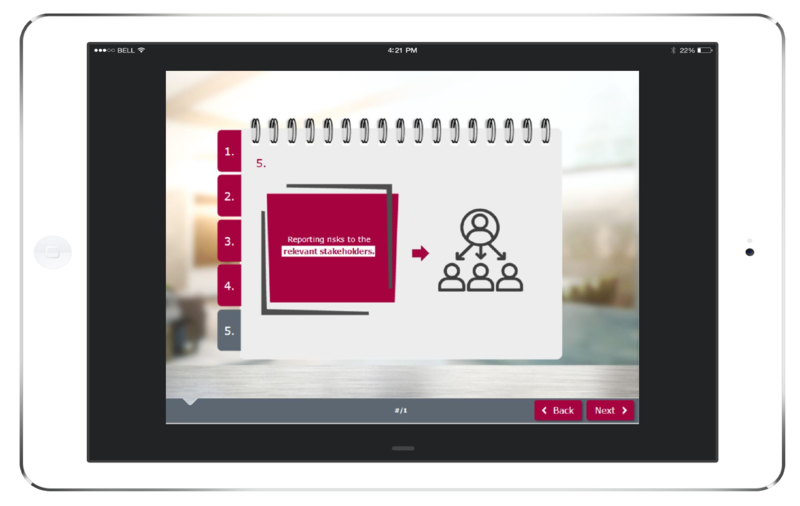 Provide text descriptions for all images, graphics, videos or animations within your learning solution. If you use Articulate Storyline, use the available accessibility features to support visually impaired learners. Often, visually impaired learners use screen readers to experience eLearning courses (Articulate, 2018). Alternative text is critical for learners using screen readers, so it’s essential that it is incorporated during the development stage of the eLearning course (Articulate, 2018). If you use Articulate Storyline and would like to know more, check out this article on ‘Storyline 360: Adding Alternate Text for Screen Readers’ here. Information can be displayed through text, symbols, numbers or even icons. With this in mind it is important to consider how different people may interpret these displays of information in different ways (CAST, 2018). Different cultural backgrounds, languages and lexical knowledge should always be taken into consideration (CAST, 2018). At Belvista Studios we find that we sometimes incorporate Australian slang in our writing that may seem like gibberish to other nationalities. We ensure slang is removed or at least translated to enable each reader to have an equal chance of understanding the content. Provide a glossary that explains the meaning of ambiguous terms. Steer clear from using slang or culture specific phrases. Pre-teach vocabulary or symbols that will be used. Use footnotes or hyperlinks to further explain ambiguous words or terms. At Belvista Studios we believe that the key to effective learning design is through having a deep understanding of the end-user. An integral part of this, is understanding the level of prior knowledge that the learner has. With this knowledge front of mind you can design a course that provides the correct amount of context and activates or supplies background knowledge when necessary. Barriers may be present for learners who do not have the necessary background knowledge. On the other hand, learners may experience barriers if they have the necessary background knowledge though don’t know that it would help them to access it. Link to relevant prior knowledge where relevant. Use concept maps to connect relevant new information to background information. Pre-teach learners necessary background information. Explain the connection of concepts that relate to each other. You may have a stack of content ready to turn into an eLearning course. Whilst it is important to include information that will contribute to the learning objectives of the learning solution, it is also just as important to highlight information that is nice to know, however, not essential to the learning goal. The UDL Guidelines state that, “One of the big differences between experts and novices in any domain is the facility with which they distinguish what is critical from what is unimportant or irrelevant” (CAST, 2018). If you are able to identify and structure your eLearning course in a way that highlights the critical information and learning outcomes, then your learners will be able to allocate their time efficiently and focus on what is important. Highlight or emphasise key elements such as text, graphics or diagrams. Use outlines to emphasise ideas and relationships. Use multiple examples to emphasise critical features of the learning. An example Belvista Studios module showing the highlighting of a critical piece of information. That’s it for this blog series on the Universal Design for Learning. We hope that you enjoyed the journey and came away with a collection of knowledge and practical takeaways! Remember, if you were tasked with organising an event for a large and diverse group of people, you would consider accessibility through providing ramps, lifts and braille on toilet doors, so why not do the same for your learning solutions? If you enjoyed this blog series and would like to discuss the UDL in more detail, please contact our passionate founder Kim Tuohy via kim@belvistastudios.com or on LinkedIn. Articulate. (2018). Storyline 360: How to Design an Accessible Course. Retrieved from https://articulate.com/support/article/Storyline-360-How-to-Design-an-Accessible-Course. Brown, E. (2016). The Use of Audio in eLearning. Retrieved from https://leolearning.com/2016/10/the-use-of-audio-in-elearning/.